Do I need to seal my monster clay before molding? 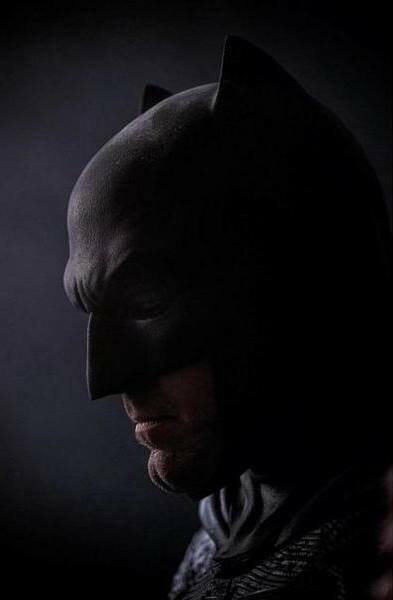 I would like to achieve a matte surface like in the latest Batman mask (Batman vs Superman). I believe i have achieved that in the actual sculpt and would not like to coat it with anything to keep that surface. Also I would like to preserve the modifying capabilities after molding. And If I use some teflon spray / crystalclear etc. the clay might not be modifiable after the molding process. Sample for the desirable finish. What type of mold are you making for this? You should be able to mold without any release on your clay, but cleaning out the clay from the mold will likely be more difficult. If you are able to chill the mold a bit (to harden the clay) that may help in removing the clay in larger pieces. But you might end up needing to brush in solvents to clean clay out of some of the details. Much of this depends on what type of mold you make. If you plan to chill a stone mold (Ultracal, Hydrocal, etc) don't let it get near the freezing point of water, or the water in your stone could expand and crack or weaken the mold. When it comes to casting, you can lightly dust the inside of the mold with baby powder (or corn starch) to help produce matte castings. I don't typically work with monster clay (I typically use Chavant NSP), so your mileage may vary. Though I did recently pick up a couple tubs of monster clay to play with. I'm using smooth-on rebound 25 brush on silicon. It's platinum based. I think I'll spray it with the demold spray I heard that this specific spray can be washed off with soap... But I'll have to run some trials on smaller items first. Great tip that corn starch! i'll probably have try. Btw. Do happen to have any experience with Smooth on casting resins? I'm planning to make the mask using smooth-cast Onyx. I'm wondering how frail it is. I was thinking on reinforcing it with glass fiber sheets / strips in between the cast layers? I'm not sure how brittle/frail the Smooth-Cast Onyx would be. I have worked with their products and I would suggest shooting them an email. They have always been super helpful in the past when I had questions about their products. Running small test pieces is a great idea when trying new materials and techniques! Thanks so much again Chris!